Looking for a premium CBD oil product from a trusted, reliable company which uses only the highest quality hemp? Look no further than Elixinol. Elixinol sets itself apart from its competitors through its transparency and its commitment to go the extra mile to ensure quality. Elixinol is crystal clear about every aspect of its manufacturing process, starting with the breeding of the hemp which is used right on through to processing and testing. We have had very good experiences using Elixinol, and we’ve also had quite a few readers write in to share their own experiences with Elixinol’s products. We’re going to share everything we know with you about the company in our review. First, we’ll tell you a little more about Elixinol’s manufacturing processes, and then we’ll introduce you to some of Elixinol’s top CBD oil products. Finally, we’ll go over pros and cons and tell you where you can buy Elixinol. In this section, we will go over why you should consider Elixinol rather than another brand for your CBD oil products. Elixinol is not the cheapest brand out there, but there is a reason for that, as you will see below. If you are already familiar with the Elixinol brand and just want to read up on their most popular products, you can scroll down to the next section to learn about their pills, tinctures and applicators. Why choose Elixinol? When it comes to shopping for CBD oil supplements, there are a couple of things you have probably noticed. The first is that the supplements out there right now range from the very good to the very bad. The second is that it can be hard to tell the difference since a lot of companies are less than transparent about their products. 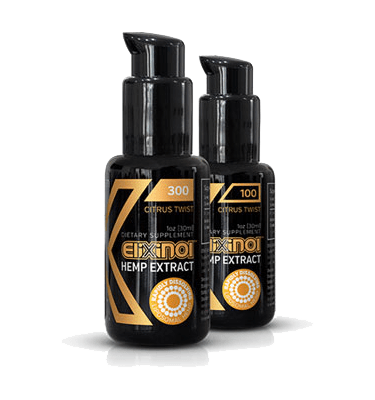 The hemp plants used for Elixinol’s products are specially bred to contain a higher concentration of CBD than is present in the average hemp plant. They are organically grown and are certified as Grade-A European hemp. The growing and harvesting methods used have been passed down from father to son for 300 years through the family line. No synthetic or isolate forms of CBD are used in creating any of the products. Elixinol uses only the whole extract of the actual plant. That way you get the synergistic benefits which come from the cannabinoids in combination with the terpenoids and essential oils. All of these compounds can enhance your health individually; together, the whole is more than the sum of its parts. The hemp plants are grown at a specific latitude in select locations throughout Northern Europe. Doing so ensures the healthiest plants with the most potent CBD oil. 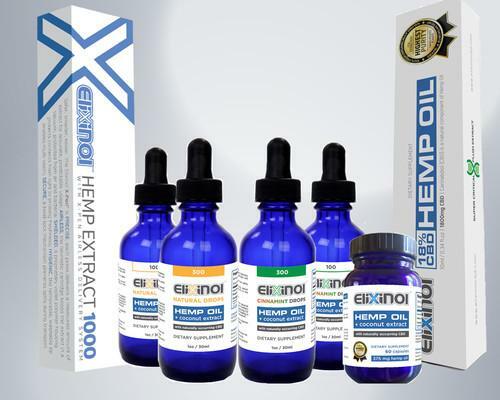 Elixinol also uses special techniques to extract the CBD oil from the plants. Other companies use solvents or high heat, both of which can have toxic effects. Elixinol’s Super Critical Fluid Extraction technique on the other hand involves highly compressed carbon dioxide (CO2). Added to the hemp, it releases the phytonutrients contained in the plant without introducing toxicity or burning up enzymes or vitamins. The CO2 is then removed and re-used, leaving only pure CBD oil behind. With Elixinol products, you are enjoying the benefits of full-spectrum cannabinoids. Other CBD oil products are not as nutritious because they are not processed using the cold temperature CO2 method discussed above. 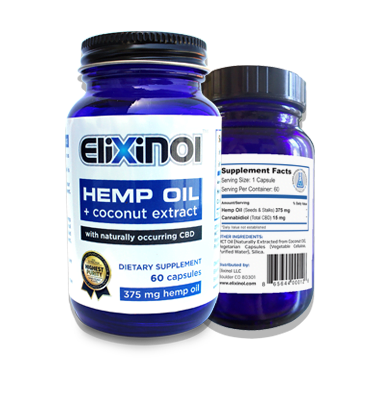 Elixinol does not use every hemp plant harvested to create its CBD products; only the best crops are selected for processing. Those which do not meet the company’s high quality standards are used for other applications. Elixinol products are all manufactured in Europe and the USA, and are then subjected to rigorous tests using HPLC (HPLC-DAD) equipment. They are checked for potency and for purity. You can view some of the company’s lab results right here. This kind of commitment to quality is not something you are going to find just anywhere. We are also impressed with just how much information the company is willing to share about its methods. When you buy an Elixinol product, you know exactly what you are getting. On top of all that, did we mention that this is a company which is constantly giving back? When you check out, Elixinol donates 5% of your purchase to a non-profit charity—and you get to choose which one. In short, Elixinol isn’t just manufacturing high-quality hemp products. This company is also going out of its way to educate, develop safe, sustainable, healthy agricultural practices, and dedicate a commitment to care worldwide. You now know what sets Elixinol apart from its competitors. Now let’s check out some of the company’s most popular CBD oil products! Both list the serving size as one capsule, but there are only 30 capsules in the “450 mg” bottle, while there are 60 capsules in the “900 mg” bottle. Upon doing some math, I realized that the “450 mg” and the “900 mg” are a reference to the total CBD included in each bottle (not each capsule, and not including the hemp oil). So the “450 mg” bottle contains 15 mg of CBD in 30 capsules, which comes out to 450 mg total. The “900 mg” bottle contains 15 mg of CBD in 60 capsules, which adds up to 900 mg total. Because you are getting cannabidiol and hemp oil processed without the use of toxic solvents or high heat, you are getting full-spectrum organic CBD in every capsule. Along with the CBD itself, you are getting the alkanes, amino acids, nitrogenous compounds, ketones, alcohols, sugars, glycosides, flavonoids, vitamins, pigments, and water which are all naturally present in hemp. Each capsule contains full-spectrum CBD. These capsules do not contain any weird additives or artificial ingredients. They are 100% natural and pure. Aside from the active ingredients (hemp oil and CBD), all they contain is MCT oil from coconut oil, and the vegetable cellulose, purified water and silica which make up the capsules themselves. There is no weird taste to these capsules. Because they are capsules (as opposed to tablets), they are easy to swallow. Any drawbacks? Well, there’s one, and that is the cost, which is not the lowest out there. But that is because there is a higher overhead cost associated with Elixinol’s cutting edge manufacturing and testing processes. Frankly, we think that is more than worth it to get quality CBD. You are looking for cost savings. Capsules are less expensive than tinctures on the whole. You want something convenient. It is easy to take a few capsules with you on the go, so you always can take CBD when you need it. You are looking for one of the overall best general-purpose CBD oil products on the market. Tip: We recommend snagging the 900 mg bottle. Right now, you’re looking at $79.99, whereas the 450 mg bottle costs $44.99. For $35 more, you are getting double the amount of CBD, so this represents great cost savings! There is also a 5,000 mg product which is only available to customers in Brazil. There is a big price difference between the 300 and 3,600 mg tinctures, consistent with the difference in concentration. If you buy the 300 mg product, it will only run you $59.99 (currently on sale for only $29.99—an amazing bargain). If you purchase the 3,600 mg tincture, it will cost you $296 (currently on sale for $249). While that is no drop in the bucket when it comes to price, keep in mind that this is a very highly concentrated supplement. You also are getting a larger amount. The 300 mg tincture contains 30 ml, whereas the 3,600 mg tincture contains 120 ml. Like the capsules, Elixinol’s tinctures contain full-spectrum CBD including natural healthy compounds such as amino acids, flavonoids, and vitamins. Tinctures are easy to use. They are an especially good option for customers who have a hard time swallowing capsules or pills of any kind. You are going to be hard-pressed to find a more highly concentrated, pure and potent CBD tincture anywhere. You are looking for a fast-absorption product. Tinctures are easier for your body to absorb and digest than capsules. You have a hard time swallowing capsules. You are looking for the highest potency CBD oil product out there. You want to be able to customize your dosages as needed. This formula is optimized for vaping, offering you yet another way to enjoy the full-spectrum benefits of CBD oil. These tinctures are VG-based, which means they create more vapor than other brands, and that vapor is longer-lasting. They also are easier on your throat, which is important if you vape throughout the day. This is a Kosher formula with organic hemp oil for full-spectrum CBD benefits. This supplement contains no harmful additives like PG or PEG like you find in competing products. The grape mint flavor might sound a bit strange, but it is surprisingly enjoyable. Of course, the natural flavor is always great too. You want to boost the bioavailability of CBD oil, bypassing your liver and digestive tract. You are looking for a fast-acting CBD oil treatment. You want to save money (a little bit of CBD oil goes a long way, thanks to the increased bioavailability). Tip: Because you can get a more potent effect from a smaller amount of CBD, you may very well find 300 mg (which costs $60, currently discounted to $39.99) goes a long ways. Of course, you are going to love this stuff, so you may just want to grab the 600 mg ($120, currently discounted to $74.99), which is the best value. If you’ve been looking for the ultimate vaping pen, the Elixinol X-Pen may just be it. This product was designed after extensive research and development; Elixinol actually tested a whole series of delivery systems before creating the most optimized solution on the market. The X-Pen contains 1,000 mg of CBD hemp extract, and delivers 15 mg with every click. You can pick it up for $129. When it comes to precision, you are not going to do better than Elixinol. This is a great flexible dosage as well which is ideal for a range of conditions. The X-Pen Oral applicator features a hygienic design that locks out air and bacteria. The cartridge is hermetically sealed, enabling airless delivery. Additionally, the tip is removable and washable. The twist-lock mechanism incorporated into the design prevents spills. The housing is made of a proprietary violet polymer. This keeps light out of the container, ensuring that your CBD oil stays fresh as long as possible and loses none of its potency. You are looking for convenience. You can bring your X-Pen with you anywhere, so your CBD oil is always there when you need a dose. You are tired of other brands which fail to deliver when it comes to potency, precision and usability. The X-Pen is the last hemp pen you will ever need. Another great option if you are looking to enhance absorption and delivery of CBD is Hemp CBD Oil Liposomes. This product features CBD oil which has been embedded into liposomes. This enables the direct transport of cannabinoids right into the cell. You can either add the supplement to water or take it under your tongue. It has a sweet citrus flavor from natural fruit extracts. This supplement features cutting-edge delivery technology. You get more potent benefits from your CBD oil, and you end up saving money over the long run as well, since that makes for a better value. The fruit extracts and Stevia used to enhance the flavor do a great job taking off the bitter edge without introducing unhealthy sugars or artificial sweeteners. Like all of Elixinol’s products, this one contains full-spectrum CBD oil. You are looking for a hemp oil product which is easy to digest and which can be rapidly deployed throughout your body for a powerful effect. You want to get a stronger effect from the same dosage of CBD. You want to get away from the bitter flavor you may be used to with competing products. The Rescue Balm costs $29.99, and is an all-purpose topical CBD treatment made from whole-plant extracts, providing you with full spectrum benefits. It is non-greasy and does a great job penetrating the skin fast to bring rapid relief. It also doubles as an effective moisturizer. The Lip Balm costs just $7.99, and moisturizes chapped lips while soothing irritation. Because it is in a small container, you can carry it with you everywhere. Consider these products if you have localized pain you want to target. The CBD will be absorbed through your skin directly to the site of the pain. With internal products, you get to treat the whole body, but it may take longer to get the CBD to the part of the body where the pain-killing effects are needed most—and it will be less concentrated when it gets there. Two more great products manufactured by Elixinol are the Hemp Protein Powder (16 ounces) and Hemp Seeds (8 ounces). The Protein Powder costs $19.99 and provides you with an allergen-free source of plant protein perfect for enhancing any diet. Because it is completely plant-based, it is safe for vegetarians and vegans. 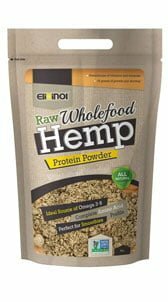 Hemp is the only ingredient, so this is a pure food which tastes amazing and which can help fill gaps in your diet. Along with boosting your protein intake, it will fortify it with more magnesium, iron and essential fatty acids. The Hemp Seeds are a tasty snack for just $8.45. The shelling process developed by Elixinol uses no heat, which means that the nutrition of the seeds remains entirely intact. Hemp seeds contain more omega fatty acids than flaxseed, and go great in smoothies, salads, cereals and desserts. They also make a great snack on their own. Once again, raw shelled hemp seeds are the only ingredient. Good luck finding purity like this elsewhere! Edibite dog treats each contain anywhere from 1-1.5 milligrams of CBD. The CBD oil and all the other ingredients are organic and rated safe even for human consumption. No corners are cut here (not like a lot of other brands of dog treats, which may not contain safe, healthy foodstuffs at all). To create these tasty, nutritious treats for dogs, Elixinol teamed up a master chef with veterinarians. The result is a delectable treat that is sure to please any pet while delivering a dose of extra health benefits with every bite! Now you know all about Elixinol’s products and the unique manufacturing processes which set them apart from CBD oil products from other brands. Let’s review the pros and cons of Elixinol, and then I’ll let you know where you can purchase these high-quality CBD oil products! Elixinol is a company which operates with a high degree of transparency. Their manufacturing methods are proprietary and specially developed to ensure that you are getting the purest and most potent CBD oil. These products all contain the complete hemp extract, so you get the full spectrum of health benefits. There are no additives or artificial ingredients whatsoever in any of Elixinol’s products. There is a wide selection of products, dosages, and flavors. No matter how you like to take your CBD oil and no matter what condition you are treating, you will be able to get fast-acting, powerful relief. Elixinol products can be a little pricey. But when you divide across dosages, you will discover that they are not as expensive as they might first appear, and you are actually getting a great deal. Plus, in terms of value, you are getting a lot more quality for your money than you would be if you went with a cheaper brand. Honestly it is hard to think of another drawback! Elixinol is a fabulous brand which has taken pains at every phase of the manufacturing process to ensure that you are getting a first-rate product. Where Can You Buy Elixinol? Ready to enjoy the outstanding health benefits of full-spectrum CBD oil from Elixinol? Click below to be taken straight to Elixinol’s website. There you can browse through the company’s capsules, applicators and tinctures, and choose the right CBD oil supplements for your needs! © CBDAlliance.org 2008-18 - All Rights Reserved.